Sometimes product listings give us a glimpse into the future, or a glimpse at what could’ve been. Earlier a member of the Jedidefender forums named Greg found a number of enticing Star Wars listings at the Hasbro customer service site. There was a significant number of new listings he found mixed amongst listings of older toys. Hasbro had mentioned their intention earlier this year to make Speeder Bikes for the Star Wars Black Series 6″ line. 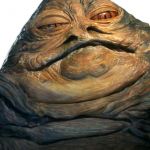 According to these new unearthed listings, it appears Hasbro also intends(or intended) to make none other than Black Series Jabba The Hutt! 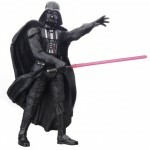 The listings range from the likes of 6″ scale Jawas to the long awaited Black Series 6″ Darth Vader from The Empire Strikes Back. There is more, much more, and some of these items on the lists posted are active items, old items, and it’s entirely possible much of this may have been cancelled, or is being shuffled around a good deal. However, it’s clear some of it is brand new (6″ listings, Rebels listings, etc. ), and worth a look. Diamond Select Toys has released a photo of a new Star Wars Bust Bank. 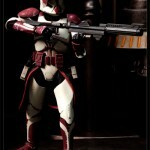 The new bank shows off Clone Commander Appo. The bank is scheduled for release in August. You can Pre-Order it at Big Bad Toy Store for $22.99. These STAR WARS 3.75-inch action figures include the same high quality design kids have been enjoying for years, but now at a new lower price. The line includes characters from the STAR WARS movies as well as the STAR WARS: The Clone Wars animated series. Each sold separately. 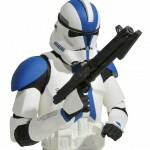 Hasbro introduces amazing new value with STAR WARS MISSION SERIES action figures! Team up your favorite STAR WARS characters, or pit them against each other, with these 2-figure packs, featuring popular STAR WARS characters such as DARTH VADER, ANAKIN SKYWALKER and JANGO FETT. Each pack sold separately. Build your galactic fleet with new versions of iconic vehicles from the STAR WARS universe. These 3.75-inch-scale, exceptionally detailed CLASS II vehicles mark the first time these Hasbro STAR WARS vehicles are available at this lower price point. 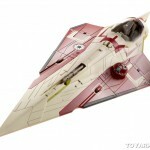 At launch, vehicles will include the REPUBLIC FIGHTER TANK, JANGO FETT’S SLAVE I, and OBI-WAN KENOBI’S JEDI STARFIGHTER. Each sold separately. 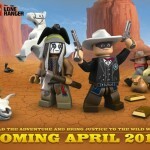 LEGO has sent out a press release about their plans for Toy Fair 2013, including the announcement of LEGO Lone Ranger Sets. they also have updates on the LEGO TMNT, LEGO CHIMA, LEGO Star Wars, LEGO Marvel and DC Super Heroes and more. Hasbro sent a press release put out announcing that Star Wars Toys are headed to the National Toy Hall of Fame. PAWTUCKET, R.I.–(BUSINESS WIRE)– Hasbro, Inc. (NASDAQ: HAS) is proud to announce that its STAR WARS action figures were today inducted into The National Toy Hall of Fame at The Strong . The toys are being recognized for the impact of their original debut which forever changed the toy landscape and continue to resonate with kids and fans to this day. Since the first STAR WARS action figures began arriving on the market in the 1970s, Hasbro has been developing new action figures and toys which deliver fresh ways for kids and fans to experience their favorite STAR WARS characters. In 2012, Hasbro continues to provide kids and fans with a variety of toys based on the iconic franchise from Lucasfilm including MOVIE HEROES figures, THE CLONE WARS figures and THE VINTAGE COLLECTION figures as well as the new FIGHTER PODS expression and a variety of role-play toys including ULTIMATE FX LIGHTSABERS. Hasbro is also expanding its STAR WARS toy legacy this year by working closely with Lucasfilm on the recent launch of a line of toys and games based on the STAR WARS edition of the popular ANGRY BIRDS mobile game from Rovio Entertainment. The line features new products based on a variety of existing Hasbro properties including the JENGA brand and the recently re-launched KOOSH brand, to introduce new play experiences featuring iconic STAR WARS characters re-imagined as high-flying ANGRY BIRDS and villainous pigs. STAR WARS action figures join Hasbro favorites CANDY LAND, G.I. JOE, MONOPOLY, MR. POTATO HEAD, PLAY-DOH, SCRABBLE, TONKA TRUCKS and the EASY-BAKE Oven in the National Toy Hall of Fame at The Strong. Discuss on the Toyark Forums› Views: 3682 › Credit: NIBMRatchet of the Toyark Forums! 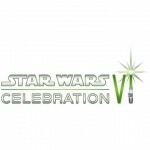 Hasbro has sent along a little pr about what you can expect from them at Star Wars Celebration VI. also, some news about the last wave of Star Wars Vintage Collection for 2012. Celebration VI is August 23-26, 2012 in Orlando, Florida. 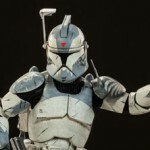 Sideshow has posted new images and info for their upcoming San Diego Comic-Con Exclusive Star Wars: The Clone Wars Clone Commander Fox. Discuss on the Toyark Forums› Views: 5217 › Credit: Exodus of the Toyark Forums! The Disney Parks Website has revealed that some new Star Wars Disney action figures will be released in March. New action figures featuring Disney characters playing characters from the Star Wars universe are due to arrive at Disney Parks in March. We first showed artwork of these figures in August 2010 (good things come to those who wait!). I spoke with Cody Hampton, developer for Toys and Games, to learn about their development. 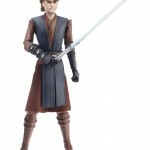 Cody has been involved with development of the Disney character Star Wars action figures since series three. His favorite figure in the series is Donald Duck as the Clone Trooper, Commander Cody (how fitting!). 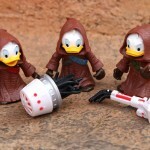 I like Donald Duck’s nephews as Jawas (probably because I dressed like a Jawa for Halloween when I was five – still my favorite costume of all time). Disney Design Group artist Mike Sullivan drew the first sketches for the characters in this series. Then senior character artist Casey Jones used those sketches to create the technical drawings shared with the manufacturer. Cody explained that collaboration between Disney and Lucasfilm was a key ingredient for success. The figures will be released at locations in Disneyland Resort and Walt Disney World Resort. Unfortunately, they will not be available via the Disney Parks Online Store. If you aren’t visiting the parks soon, you can also contact Walt Disney Parks and Resorts Merchandise Guest Services at 1-877-560-6477 or email merchandiseguestservices@disney.go.com once they are released. Check out some photos of the figures by clicking the headline of the story.